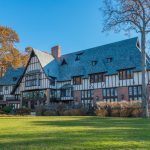 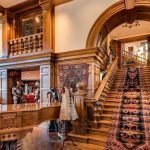 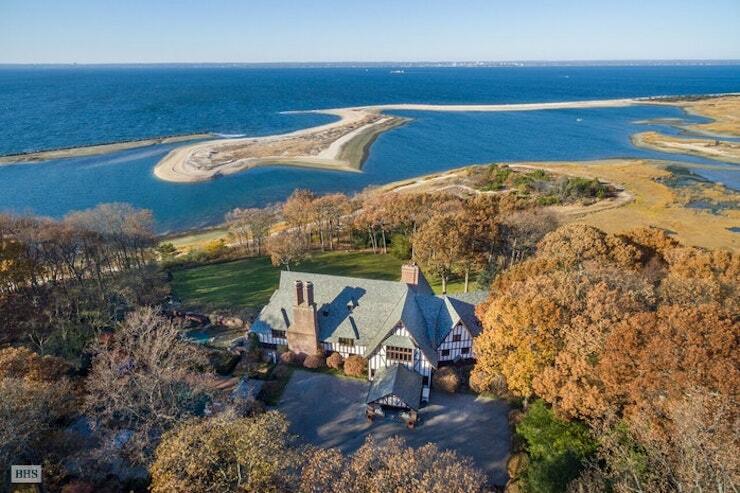 A property spanning 47 acres of Long Island waterfront that includes a 22,000-square-foot Tudor revival-style mansion in the secluded Gold Coast village of Lloyd Neck is on the market asking $55 million. 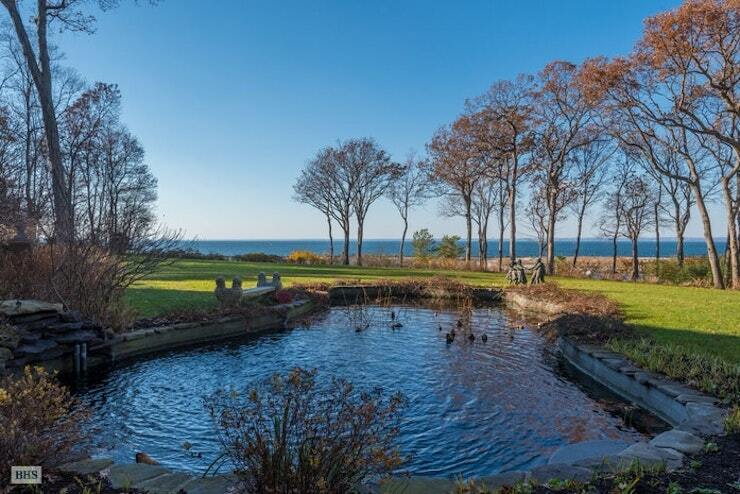 In addition to offering a private cove with its own pier, a 30-by-60-foot pool, lush gardens and a tea house, the estate was famously home to Angelina Jolie, Brad Pitt and family in 2009 when Jolie was filming “Salt” on Long Island (h/t New York Post). 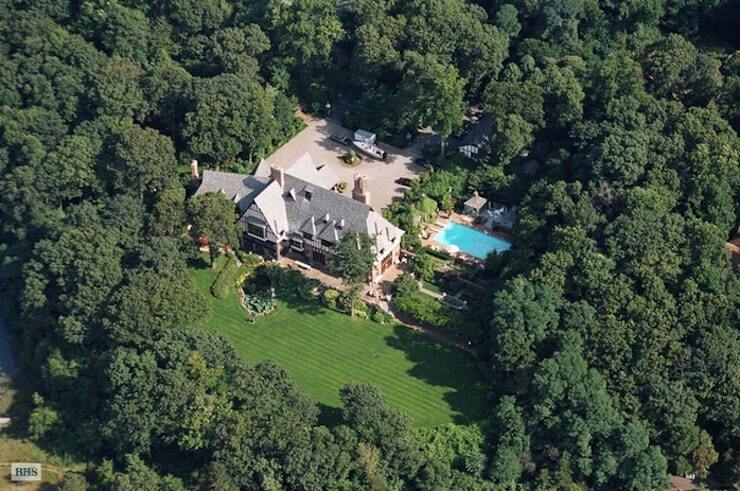 And it’s only a 15 minute trip to Manhattan by helicopter. 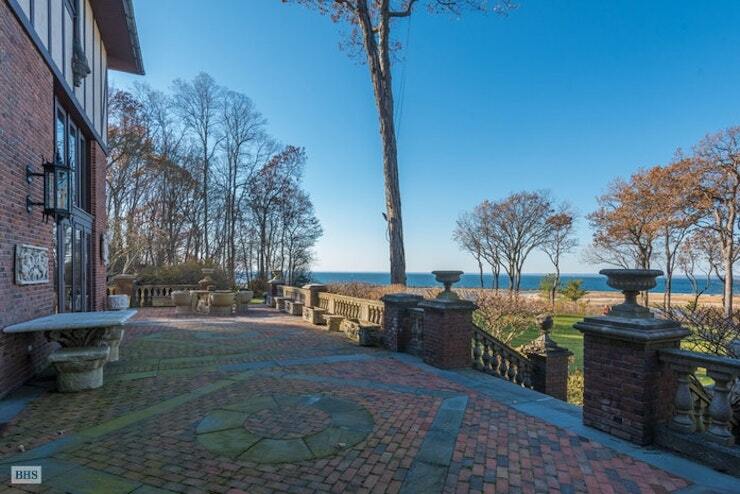 Known as Sassafras, the estate is among the area’s largest private landholdings. 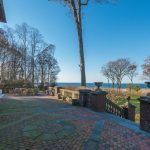 Tucked away in the exclusive wooded village of Lloyd Neck, sheltered within in a private cove, the estate is anchored by a 20,000 square foot 25-room main residence. 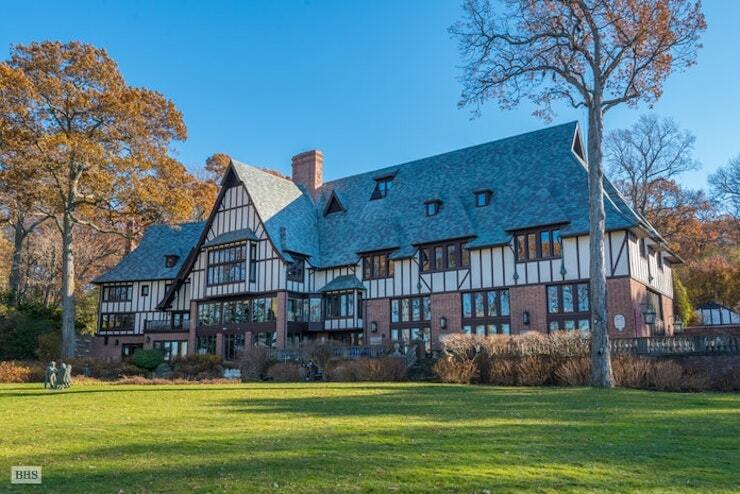 The property’s current owner redesigned the Tudor-style home and grounds in homage to British architect Sir Edwin Lutyens. 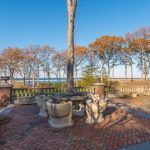 The grounds offer carefully-tended specimen gardens, an exercise path, a private beach with its own pier that an accommodate three jet skis, an 80-foot motor yacht, a 24-foot sailboat, a 30-foot speedboat and two maintenance boats with three additional moorings. 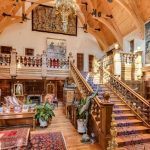 Entering the main house via a Great Hall with a 48-foot cathedral ceiling, you’ll find a study and formal dining room that opens to a wraparound terrace with gorgeous water views. 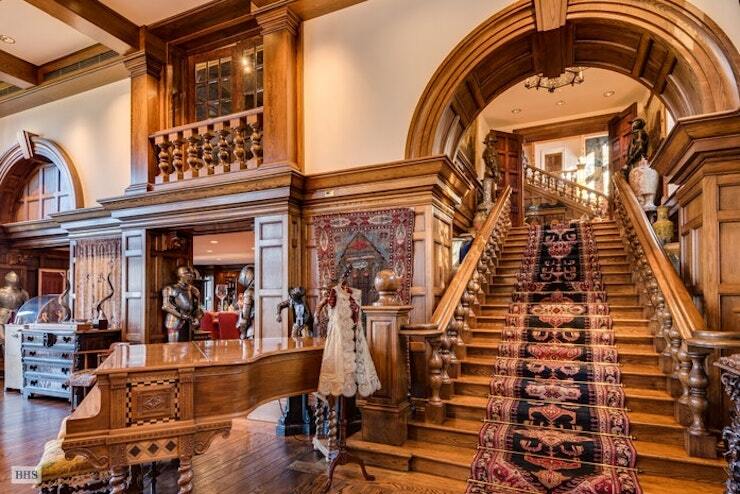 A vast living room is anchored by a massive fireplace. 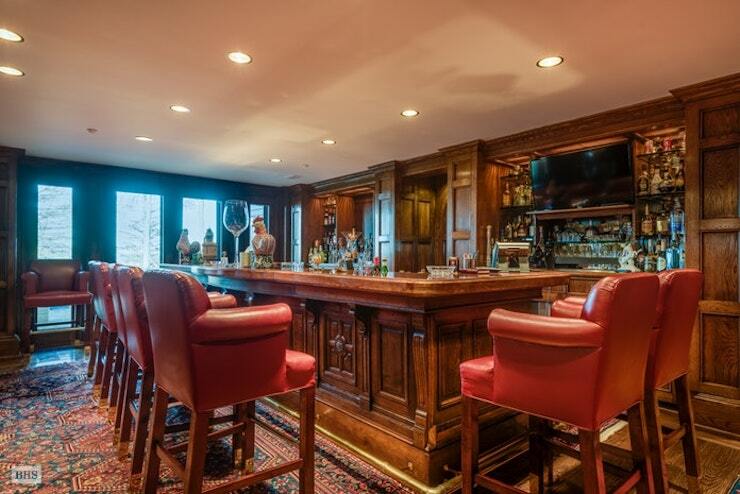 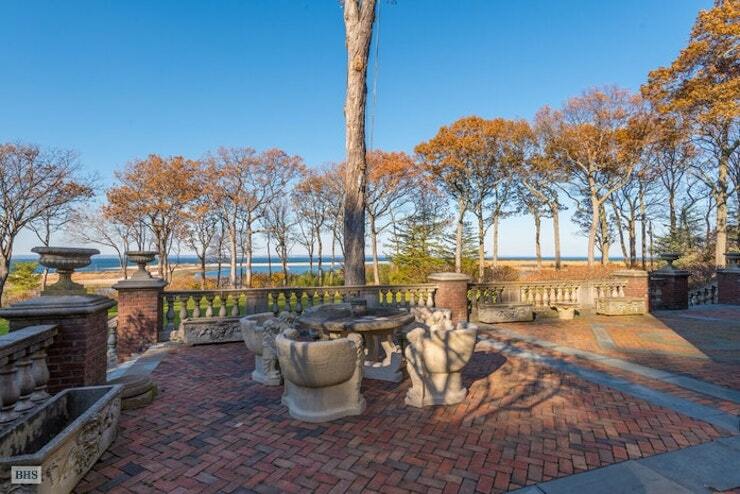 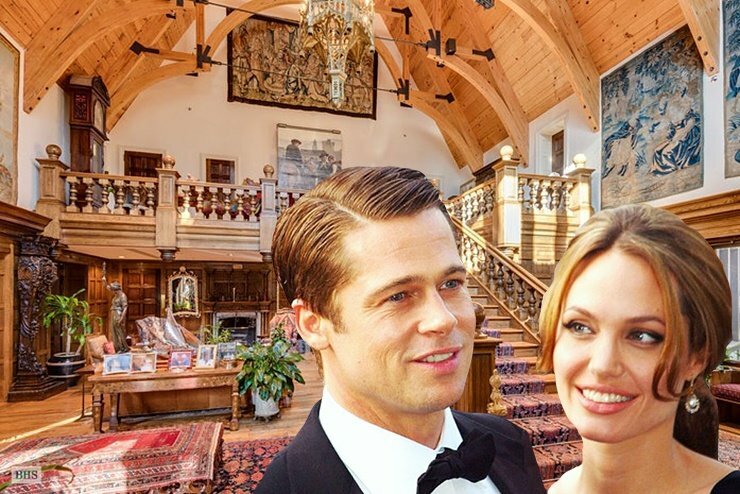 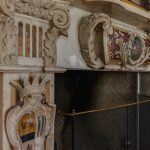 The house has a Brangelina clan-worthy eight bedrooms and eight full and four half baths, an enclosed dining veranda and a dazzling master suite with 120-degree views of Long Island Sound and Connecticut. 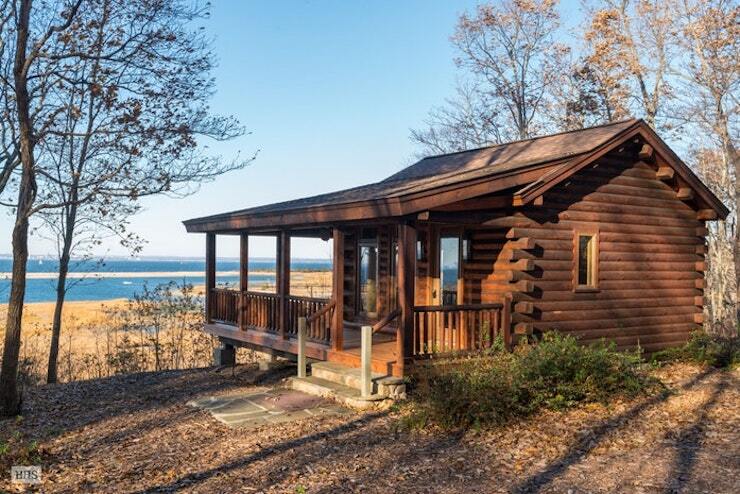 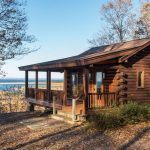 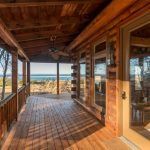 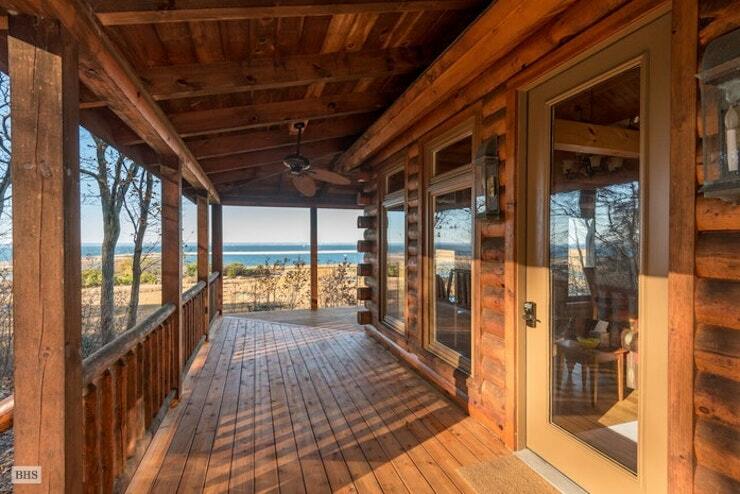 Also on the grounds are two guest houses at over 5,000 square feet each, a log cabin tea house with endless sea views, a tennis court and a beach cabana with a full kitchen and deck. 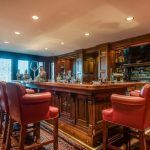 Ready for grand-scale entertaining are a 30-by-60-foot pool and a gazebo with a bar, bathroom and outdoor shower and hot tub. 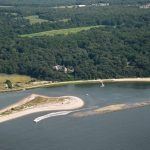 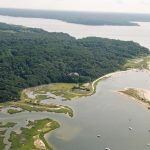 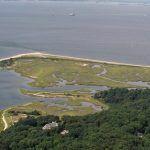 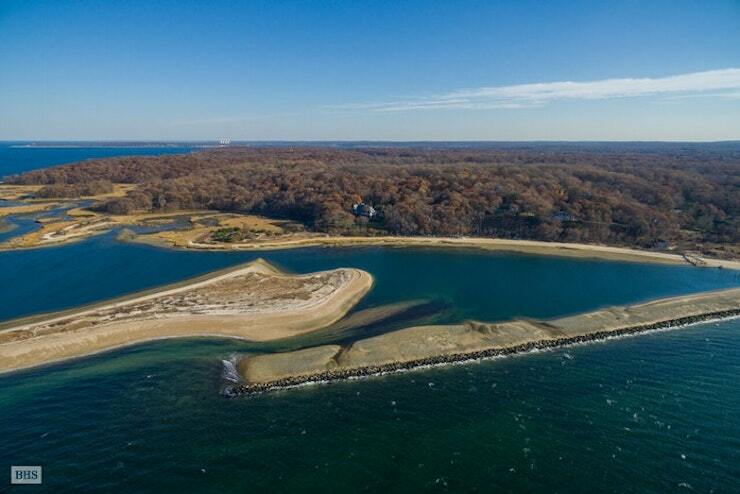 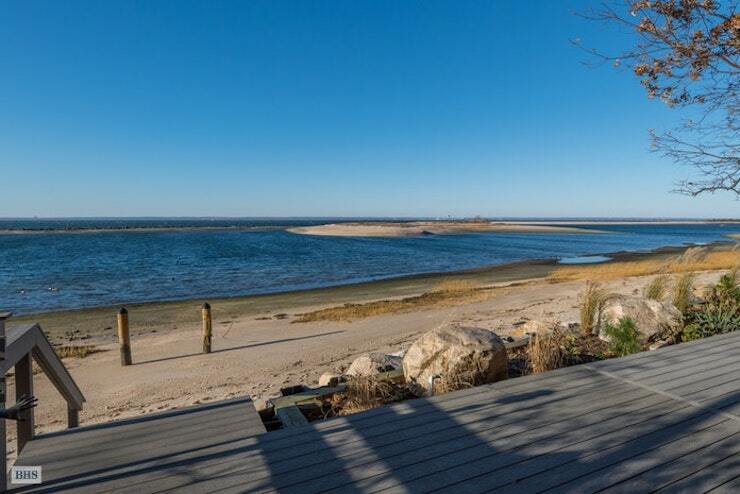 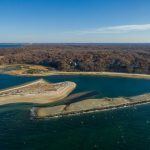 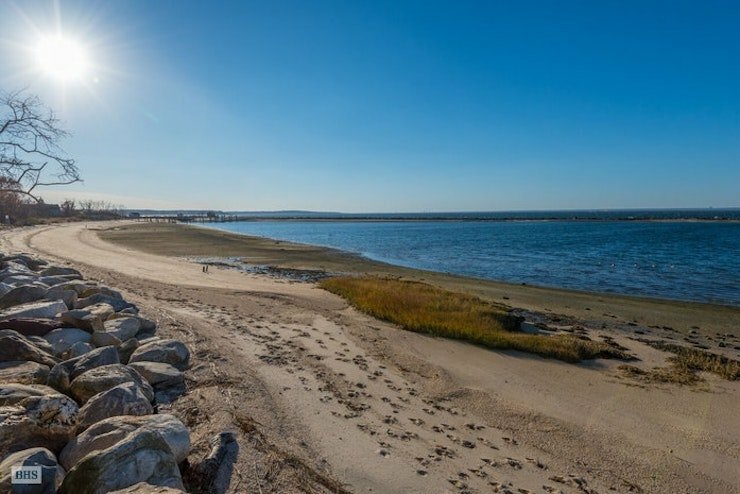 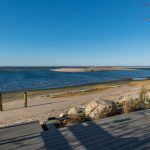 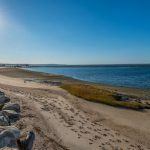 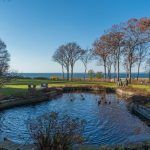 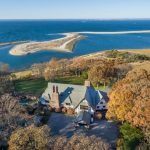 The secluded North Shore home abuts the 2,000-acre Caumsett State Park with horseback and bike trails, Target Rock National Wildlife Refuge and Huntington Harbor Nature Conservancy. 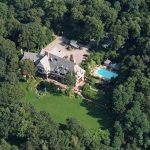 The estate is about an hour drive away from New York City–15 minutes by helicopter from either of two helipads on the grounds.